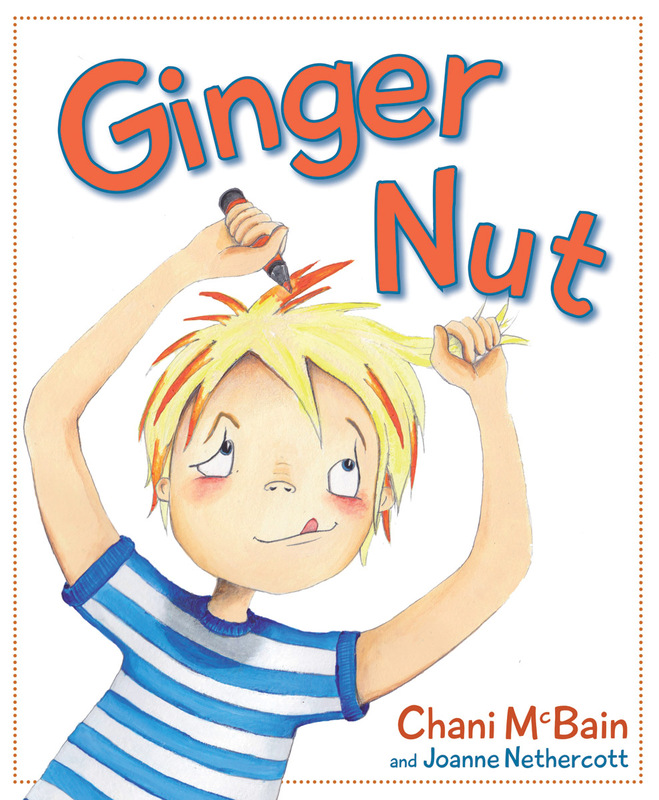 A sweet and very funny picture book, with a refreshingly positive attitude towards being ginger. Ginger Nut is full of bright and humorous illustrations that children and parents alike will love. A story of accepting and celebrating our differences. Calum McGregor is a blond boy in a ginger family. He's fed up with being the odd one out, so decides to take matters into his own hands. A sweet and very funny picture book with a positive message about being different. Calum McGregor is a blond boy in a ginger family. His mum and dad have red hair, his big sister and brother have red hair, his grandpa had red hair before he went bald, and he even has a cat called Ginger. Calum is fed up with being the odd one out, so he takes matters into his own hands and decides to make his hair ginger. He tries eating carrots, drinking Irn-Bru, and colouring his hair with felt tips. He even puts his poor cat on his head! But all his hair-brained plans fail. Is Calum destined to always be the odd one out? Or will he learn that there's more to life than being ginger? -- Jane Sandell, The Scotsman, 9th April 2011. Chani McBain was brought up in Renfrewshire and moved to Glasgow to study at the University of Strathclyde. She now lives in Edinburgh where she works in publishing. Chani is a redhead from a family where gingers outnumber everyone else. Ginger Nut is her first book. Joanne Nethercott is originally from Northern Ireland. She moved to Scotland in 2001 to study illustration at Duncan of Jordanstone College of Art and Design in Dundee. She has had work commissioned by the National Theatre of Scotland. She lives in Edinburgh and works from her studio at home. 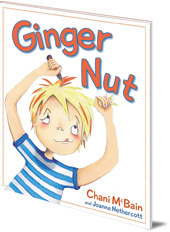 Ginger Nut is in Floris Books' range of Picture Kelpie Scottish children's picture books. Parents of young children might also enjoy the dedicated Picture Kelpies website. Download and print out games, colouring and jokes for your children based on Picture Kelpie favourites, and find out more about these quality Scottish picture books to enjoy together.